12/24/16 - I would like to wish all of our friends and visitors a very Merry Christmas and Happy Hanukkah! 12/04/16 - The final report from the show in Cologne, Germany was just received and I want to pass along the highlights for those interested. 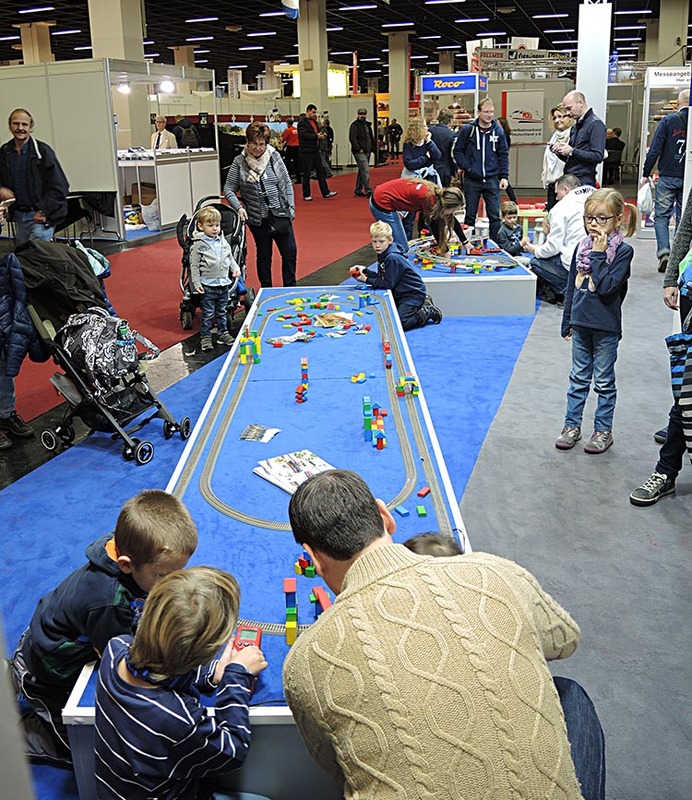 During the four days of the 33rd International Model Railway Exhibition, there were 208 exhibitors from fifteen (15) countries and the attendance was 58,000 paid visitors. The attendance was down slightly from the previous show in 2014, the show is held every two years, but considering the unrest in Europe that is understandable. Kohs & Company was again the only exhibitor from the United States and as a result, I received a great deal of attention both for our models and also regarding questions about the presidential election held just prior to the show. Unfortunately, I have never seen a model railroad event of this scale in the states. 11/23/16 - First of all, being the day before Thanksgiving here in the United States, I would like to extend the best of the seasons wishes to all that will be celebrating the special day tomorrow. It's certainly a time for reflection upon all of the great advantages and blessings that we as a country share. Safe travels to all! Having just returned from the Modellbahn IMA show in Cologne, Germany where I exhibited, I wanted to share just a few photos as a comparison to what we currently typically experience here in the states, there wasn't much time to take many more photos. 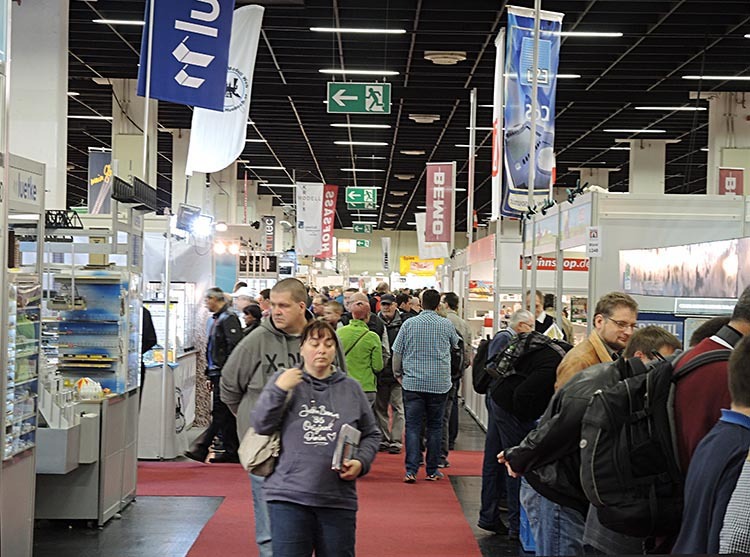 There official attendance figures have not been released for the show yet, but there are no signs that the interest in model railroading is waining at least in Europe. All of the major model railroad manufacturers were represented at the show except for American companies, Kohs & Company being the only U.S. company present. I want to thank our international clients that made the effort to attend the show so we could again meet and discuss our current and future projects. This is the primary reason for making the effort to display at the show, I do feel a responsibility to try and maintain as close a relationship as possible with those that support what we do with our modeling efforts. E-mail and other forms of modern communication are great, but there is nothing like being able to shake a hand and see the expressions when our projects are discussed, it makes all the difference in the world and I sincerely appreciate the opportunity to meet face to face! Immediately below is the Zimo Electronics exhibit, the show provided the opportunity to have extended discussions with Peter Zeigler the Managing Director of the company as well as their lead sound engineer. I'll share more on this subject in a future update. The next three photos will give you an idea of what the attendance was like. What you see is typical from the time the show opened at 9:00AM until 6:00PM each of the four days of the show. Finally, as I highlighted following my last experience at this show in 2014, the number of 'kid friendly' activities was again extremely impressive. The following three photos are only a part of the activities available around the show, some were sponsored by individual companies and others were group efforts, but the areas were always busy. This was all in addition to the major Lego exhibition that was held in an adjacent hall. 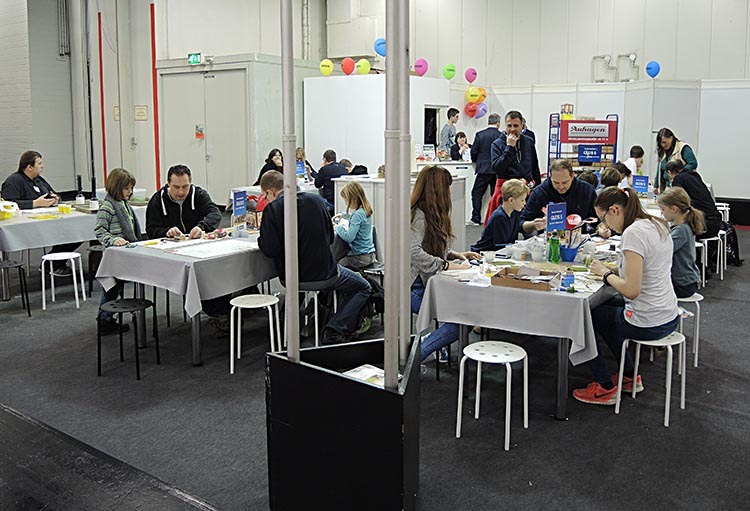 This was certainly a great atmosphere to foster the future of model railroading. 11/14/16 - Just a brief reminder that I will be in Cologne, Germany this coming weekend (17th-20th) for the Modellbahn-International Model Railway Exhibition, I hope to see many of our European Kohs & Company friends at the show. The booth location is the same as last year, #1164 and if you have not checked out the show website yet, please do so. In addition to the main show, there is also a huge Lego exhibition as well as a live steam event all under the same roof! 10/26/16 - The video below is from the Brass Expo event held in Chicago a couple of weeks ago. I offer it with hesitation since I look older than Moses, but I felt the information offered was valuable in helping our clients and prospective clients understand the thinking and processes that go into what we collectively do for Kohs & Company. I again offer sincere thanks to Dan Glasure for producing the Brass Expo and I encourage anyone reading this to be sure to attend the event next year. Also, if you do a 'Brass Expo 2016' search on YouTube you'll see a number of other interviews and general information about the Expo. 10/25/16 - Apologies to anyone that showed up at the York TCA Meet this past weekend, I obviously did not make it to the show. I tried to juggle a conflicting obligation up to the last minute in hopes that all would work out, but it didn't and a decision had to be made about what was more important. At this point, production is more important than promotion. 10/12/16 - I have been running non-stop since the Brass Expo held the first weekend of this month and have not had a chance to offer any comments on the new show. 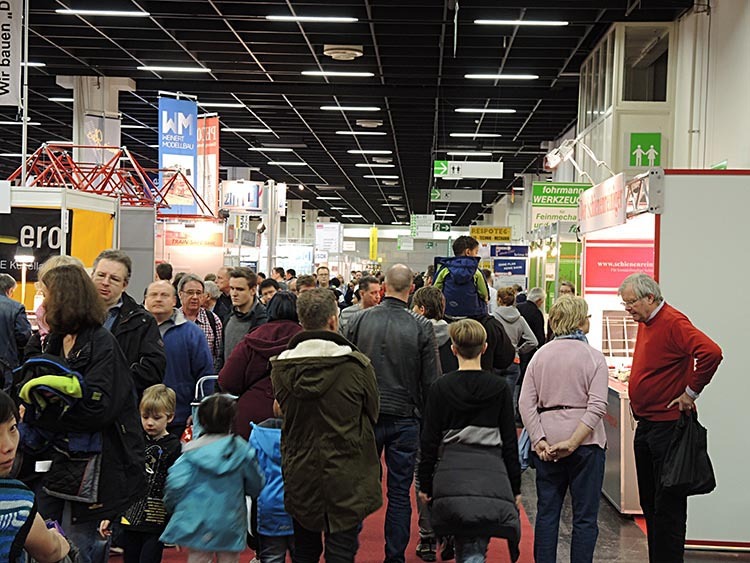 The Expo was certainly a much different show than most anybody that attends train shows has experienced, a much more relaxed atmosphere that provided an excellent opportunity to discuss with your favorite importer the intricacies of their latest projects. There were a number of new sample models on display at the show and several new project announcements, so for those who did not make it to the show, it was an opportunity missed. I had the pleasure of meeting in person several like-time customers that I have only known by phone so that for me was a great opportunity, it's always great to be able to place faces with names. There were a number of importer interviews and other informative presentations that rounded out the event and that also provided an interesting overview of the current state of this segment of the hobby. I highly encourage anyone that missed the 2016 event to put it on your schedule for 2017. As the show develops for next year I'll be sharing more information as it becomes available and you can also check out the website for the show. I am now back to shipping models, trying desperately to get that effort caught up!! 9/29/16 - Just a brief reminder that the Brass Expo show is on in Chicago this weekend, it promises to be a new and different experience compared to the typical shows we experience these days, at least in the states. I hope to see many of you at the show, it should be a great place to chat about all that is going on with Kohs & Company and many other importers and builders as well! 9/07/16 - In response to questions about whether I will be attending the O Scale National event in Indianapolis later this month, I offer the following; I will not be attending this event and instead will focus my attention on the Brass Expo taking place in Chicago on October 1st & 2nd. As I have explained in the past, evaluating the potential positive benefits of participating in the various shows around the country or in fact the world has become increasing more important. It's not only the direct cost of involvement, it's the time away from the business and getting things done when there is never enough time to begin with. 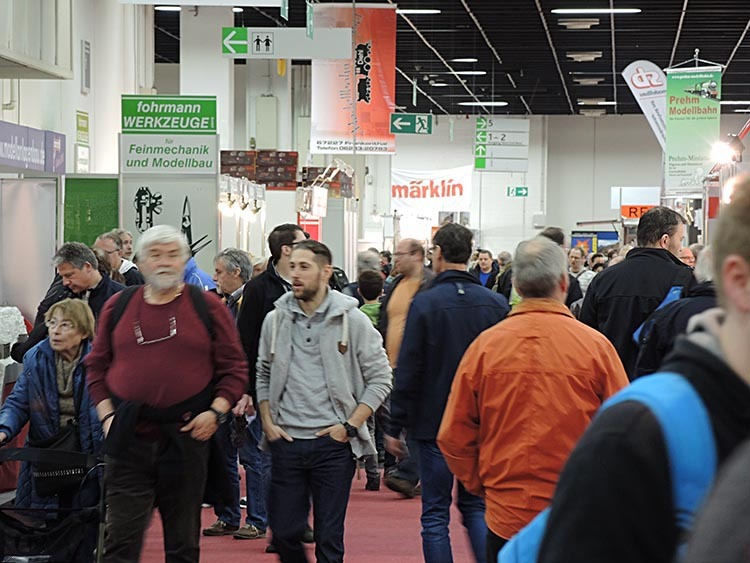 If you take the time to evaluate the offerings at the Brass Expo in terms of who will be exhibiting and the potential for learning more about the brass model aspect of the hobby, if that is of interest to you, is far greater than at another 'pile of boxes' show. It has been many years since a significant number of importers and builders have gathered together under one roof to explain their work, it actually goes back to the early days of the Brass Expo when it was held on the east coast. I know very well that many of my customers have never attended a model railroad show of any kind and have shown little interest in doing so based on the reputation of the typical modern day shows. From all indications everyone involved with the Brass Expo from the organizers to the participating exhibitors will be making a maximum effort to make this a unique and worthwhile event for anyone that chooses to attend. If you are someone that has been frustrated in trying to obtain factual information about a favorite project having only to rely on the gossip, rumors and misinformation spread in the modeling forums, take a look at the vendor list for the Expo, this is likely your best opportunity to coral your importer of choice to get some straight answers! If you are trying to decide about attending and I can offer you further information from my perspective, feel free to contact me. On another subject, stay tuned for project updates! 8/15/16 - The discussion with new builders and consideration of new projects is very much an ongoing effort, actually consuming a great deal of time and effort these days. There are very viable new production opportunities to pursue and it boils down to scheduling and aligning project support in a way that does not spread the support too thinly. For example, I have heard for years that I should produce smaller and more affordable locomotives for modelers with more compact layouts and/or wallets. Economically it is difficult to forgo the production of a major locomotive prototype in favor of a small prototype, but now with the assistance of a long-time ally in Korea, I have the opportunity to produce a Union Pacific S-class locomotive built to our ultimate standards with sound/DCC and deliver it for approximately $3,000USD. The question is whether sufficient support exists to run this project simultaneously with our mainline projects? Another area of production under consideration is a limited range of narrow gauge projects developed to exceed the standard set by the original Kadama K-27 many years ago. There is certainly a locomotive of interest and the rolling stock possibilities using the techniques we have already used for wooden detail could be stunning based on the typical construction used by the narrow gauge prototypes. Rolling stock, both revenue and non-revenue have always been part of the plan, but it is becoming increasing more difficult to acquire production time for these projects. Builders that have survived the crush of problems in this industry are increasingly less likely to devote their energy to rolling stock in favor of the higher returns achieved from locomotive projects. I will continue to pursue the rolling stock projects, but it is almost mandatory now to do these projects in a mix with locomotives as an incentive for the builders. It is important for anyone interested in what Kohs & Company has done and will do in the future to understand what goes into the process of planning my projects. Customer feedback has always been of serious interest to me and I continue to encourage that feedback from anyone that is interested in my future efforts. Keep in mind the balance of issues at hand and not just that single special project you would like to see done although that is important! 8/04/16 - New updates coming shortly!! 6/21/16 - Beginning a few years back I began speaking to the issues that were beginning to impact the business/industry of brass model train production, both from the importer's perspective as well as the builder's and have continued to highlight those issues ever since. Most of my visits to Asia are typically centered around project inspection and dealing with current production issues, pushing to get our active projects completed successfully. The trip just completed took a different course, while still checking on active projects, the primary purpose of the trip was to look for and evaluate potential paths forward for expanding Kohs & Company access to increased production. I have to say at this point that I am extremely pleased with the current production situation that I have, I believe that our last two projects are the best that have been delivered and the Big Boy promises to surpass our Challenger as the best O scale locomotive produced. The reality of the situation is that Kohs & Company projects are extremely demanding for all involved and despite the higher prices paid at production, less demanding projects have to be part of the menu for builders to allow for easier higher percentage profit. That considered, multiple builders is the answer and seeking out the appropriate builder candidates is the mission at hand to increase capacity. Having been involved with Sun Jin Models and Mr. Lee for almost thirty years, it was assumed by many that there were some unique capabilities at SJ that made our projects possible. Not the case at all, there was a willingness and more a desire on the part of Mr. Lee to participate in the development and production of the best models possible with little regard for the financial aspects of the effort. There have often been comparisons of Kohs & Company models with others produced by Sun Jin and wondering questions about the difference in features and quality. Bottom line, it was a matter of developing a relationship with all of the people doing the work and using their skills based on an understanding of the mutual goal of producing the best models possible. So, in the search for additional production capacity, it's not just a matter of finding organizations that have the proper tools and skill sets, it's determining who has the desire to share in the mutual goal of seeking excellence. Additionally, in today's model production environment, there is a serious consideration of what businesses are financially solvent and do not present an excessive risk in choosing to work with them. During this trip more than a half dozen builders were visited, both old and new. An effort, one that I have not made in a couple of years, it was interesting to see what other builders were doing and what their focus was, especially on a competitive basis. With face to face meetings completed, the first phase of the process is complete and now it's a matter of thinking through what was seen and said in order to make a 'gut' decision about who if anyone is a likely candidate as a new supplier for Kohs & Company. Additional follow up is also required with the presentation of project specifics to likely candidates to discuss pricing and production details and then comes the big decision. I share the above in hopeful preparation for offering more projects on a more timely basis. Understanding that there has to be a realistic schedule to allow customer finances to keep pace, quite frankly, Kohs & Company has struggled with delays for years which has been a less than comfortable business situation. Stay tuned in the coming weeks as the push is on to get our projects in your hands on a more timely basis! Where appropriate I'll be sharing some more of what was learned during this visit as well. 5/27/16 - Just a brief heads-up regarding website maintenance that will be occurring on May 31st after 11PM EDT, there may be intermittent downtime, but it should be no longer than approximately ten (10) minutes. The networking requirements to keep my website running fast, smoothly and securely are becoming more demanding almost on a monthly basis. The maintenance work is always scheduled for times when we have the fewest number of visitors, but with so many overseas visitors, it is difficult to avoid inconveniencing a good number of people, thanking you in advance for your understanding. I am currently trying to focus on PRR cabin car shipping, but a new update regarding the Big Boy project and a couple of others will be posted shortly. I hope all of our U.S. modelers have a great and safe Memorial Day holiday weekend! 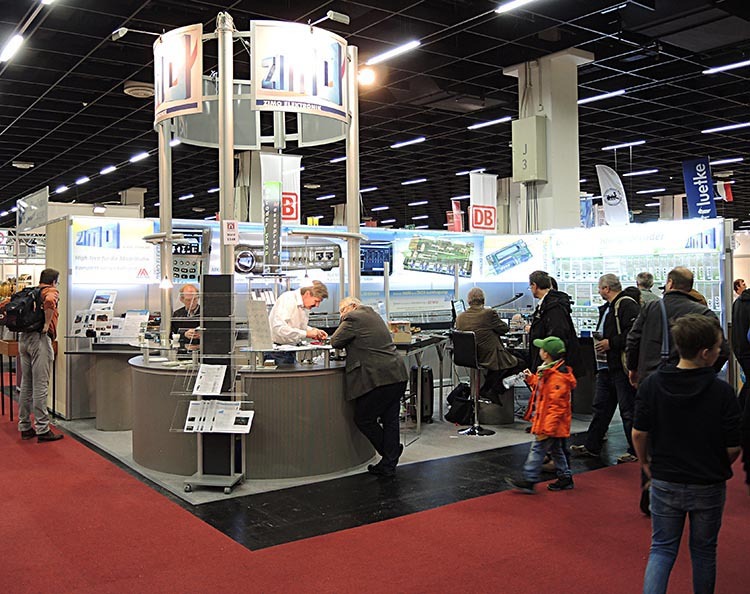 5/10/16 - You may have noticed that the International Model Railway Exhibition (IMA) has again been added to our show schedule, this is the huge biennial show held in Cologne, Germany. Kohs & Company exhibited at the last show in 2014 and plans to do so again this year, it was a fantastic experience with more than 60,000 visitors to the show over the course of about four days. If you have ever had an interest in attending a large first-class show where all of the significant manufacturers attend, this is the show. The city of Cologne is a beautiful place to visit in it's own right with the world renown cathedral at the heart of the city. 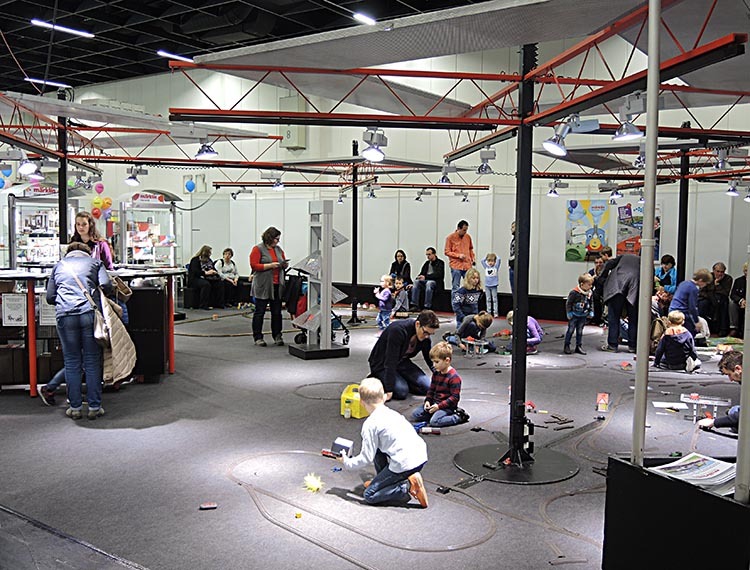 You may be aware that we use to display at the Toy Fair in Nuremberg, but stopped several years ago due to a decline in the quality of the show, the exhibition in Cologne more than takes it's place as the show to participate in. If you have an interest in attending this show, I would be happy to help you coordinate a visit. The following is the latest Press Release for the show. 5/02/16 - Just brief update for tonight regarding O Scale West. I had hoped to be able to attend this year, but due to the current work load, it's best that I stay put and concentrate on the tasks at hand. There are still a number of new PRR cabin cars to be delivered and that needs to take priority along with getting updates printed for our Big Boy project. I always look forward to getting out west since there are a number of modelers that I only see when out that way, that's the regrettable part of this decision! 4/25/16 - I have had numerous reports regarding the latest dishonest individual peddling junk N5/N5b cabin cars on ebay using the name Kohs. Legal papers were files with ebay this afternoon and hopefully the individual will keep the listing posted long enough that direct action will be justified. In the meantime, if you are offended by this scum in the hobby let 'llove' know as I know a number of others already have. This is also a test for ebay and who they choose to protect with their 'standards'. 4/24/16 - Every once in a while I make mention of web browser maintenance and after looking at the recent statistics for this website, I felt it was time to mention it again. I can obviously tell what pages visitors are looking, but I can also tell what files are being downloaded. There are numerous out of date brochures and order forms being accessed and that means that visitors are also looking at old page material. The cure for this is to empty your browser history frequently so that you are accessing the latest information every time you visit Kohs.com or any other site. Browsers use to rely on cached pages (pages held in memory on individual computers) to give viewers instantly something to look on return visits to a site while a connection is made, but with today's connection speeds there is minimal delay when you visit most any site unless there is a problem with that particular site. Some of the browsers in use today provide a setting that has the browser check a page on a return visit to see if it has been changed, this is the preferred setting when available. Without this maintenance you can be looking at information that is weeks or even months out of date on a return visit to a website. If you have checked the latest updates on our active project sites you already know that great progress has been made with some of our order projects......finally! That means we are working on new projects like our C&O steel caboose and PFE reefers and out of necessity, what follows those two projects. I've previously mentioned an interest in smaller 50 ton flat cars for a variety of roads and wooden stock cars, both of these projects are being researched in depth. In addition, I want to mention an interest in Fruit Growers Express cars, primarilly the wooden variety that were built by the thousands in the steam era, they would make a fabulous subject to be modeled with real wood sheathing as we are planning with our PFE cars. If you have information such as original blueprints, photos or any other sort of data and would be willing to share for a reasonable consideration, please contact me directly by any meanse listed on the contact page. 4/09/16 - It's been a busy week since the March Meet in Chicago last weekend, but I didn't want to let the even pass without some comments and observations. First of all a big thank you to Melissa and the entire Hill organization for their effort in putting on another great event. It was a special event for Kohs & Company as I again had Lee Marsh from Scotland displaying with me and my new builder Mr. Sang Rae Lo and his daughter Huiae also visited the states for the first time to be at the show with me. Many Kohs & Company modelers had the opportunity to meet the Lo's during the show and also at the hospitality gathering that was arranged in concert with Lee Marsh (Lee Marsh Model Co.), Jimmy Booth (Glacier Park Models) and Erik Sttot (Midwestern Model Works). I would like to thank all of the modelers that made the effort to attend the gathering and based on the response, it will be an annual event at the March Meet. The response to the Pennsy cabin cars that I had on display was fantastic and the comments were conformation of the approach taken in rejecting the junk models that the previous builder tried very hard to force on me. There were thirteen versions of the models on display and that provided a good overview of the various types and arrangements offered within the project. Speaking of junk models, Jim Williams operating under the name of Whitehall Hobbies was also in attendance doing his best to continue deceiving modelers with his inventory of reject PRR cabin cars and knock-off Pennsy flat cars. One modeler openly challenged Mr. Williams' statement that his models were exactly the same as the models offered by Kohs & Company to the point of getting Mr. Williams to agree to a free model if they were not. After obliging Williams with a direct comparison that without question disproved his claim he wouldn't honor his free model commitment, quite apparent that he has no integrity on any level. The sole purpose of mentioning this situation is to again warn unsuspecting modelers of the scam Mr. Williams is trying to run and the disservice that he is doing to those modelers that enjoy quality brass models. There were of course many questions about our Big Boy project as well as the other current and future projects. Be sure to check out the individual project sites over the next several days as new updates are added there following the show. The March Meet is certainly the one show that we can depend on for a great gathering of modelers and I am looking forward to next year already! 3/20/16 - It's time for updates on several subjects with lots happening these days at Kohs & Company. The latest project completed is being shipped, our Big Boy project is steaming along with the development of two other locomotive projects and there are a number of other 'involvements' that have made contacting me lately a bit more than difficult. I have been spending a lot of time trying to get customer related paperwork caught up and a number of lingering commitments met, there is news regarding the Chicago March Meet which is coming up soon and on top of that the development of the long contemplated book chronicling my experiences in developing our projects is progressing. As always, project specific news can be found on the individual project sites. With the March Meet in Chicago a little less than two weeks away, there are a couple of announcements that should be of interest. Lee Marsh from Scotland will again be with us at the show displaying his beautiful British profile models, he will display adjacent to our usual location in the far left corner against the wall. Also, I am very happy to announce that my new builder will be attending the show with his daughter. This will be the first opportunity for our domestic clients to meet the man behind our latest production. I have mentioned Online several times in recent months the idea of officially recording the experiences associated with the almost thirty years that I have been involved in researching, developing and producing brass models in South Korea and that is a bit closer to happening. As the recent and current production situation continues to evolve and I look back at past years, the concept for the book has also continued to evolve. In addition, I have been regularly asked about the idea of making available a catalog of projects that Kohs & Company has produced, tying that in with the original book concept has been difficult, but some seemingly good ideas are being experimented with now. My interest is not to only chronicle our production, but also the many people that have been involved in the production and made it possible, people for whom I hold great respect. Be sure to check for updates on the individual project sites during your visit here and check back soon and often! 3/01/16 - Just a brief administrative update for late night browsers and international visitors; our hosting servers will be undergoing software upgrading between the hours of 11PM EST and 4AM EST tonight. There may be a cumulative downtime of approximately ten minutes, thanking you in advance for your understanding and patience. 2/21/16 - Although there have not been many updates posted to our website in the last couple of weeks, there has been a considerable amount of maintenance work completed to increase the functionality of several project sites, both old and new. During routine checking I discovered a number of broken page links and missing photos which have now been repaired, approximately 250 in total. It is always difficult to understand the origin of these problems, but more importantly, finding and quickly repairing them is the goal. If during any of your visits to the Kohs site you encounter problems with correctly viewing any page or portion of the site, please let me know as soon as possible, your assistance would be greatly appreciated! 2/03/16 - The first news is administrative; on February 4th our website network will undergo firmware updates to improve performance and security, as a result there may be down time between the hours of 11PM and 4AM EST. I want to thank you in advance for your patience. The first month of the new year has been extremely busy with clearing the decks from last year and planning ahead for 2016. Our next project to be delivered in 2016 will be our Union Pacific Big Boy and there is certainly great anticipation connected with this project. In addition, there are several other projects underway and I will be updating the information on those individual sites near term. A big priority for the new year is to finally get some administrative help so our paperwork can get caught up, things like order confirmations and written project updates, reference cataloging, etc... The day to day work of driving our projects to production is increasingly more demanding time wise as a result of the extreme economic pressures model builders are facing and that pressure is passed on requiring constant attention. As difficult as this business has become, it was never easy, it is still very exciting to see the potential for our new projects with quality, detail and accuracy greater than ever. So stay tuned for an exciting year! 1/25/16 - I have received several messages asking me about the latest project offering from American Scale Models that is said being produced by the same Korean builder that created the junk PRR N5 cabin cars and PRR FD-2/FW-1 flat cars that I rejected. Specifically, the inquiries are about rumored extremely poor quality sample models for the project. I again say that I have no information about what ASM is or is not doing or the status of any project that may be in the works. I suggest that you contact Bill Davis at American Scale Models directly for any information on his projects. I have also had a number of inquiries about future revenue freight car projects since we are now making progress on our previously announced projects. At this point I can tell you that we are working on being able to offer a finely detailed wooden deck 50 ton flat car in a number of railroad configurations and also a wooden stock car constructed using real wooden superstructure in the same vein as our PFE wooden reefers. More details will become available as we proceed with our already announced projects. 1/01/16 - Wishing you a very Happy and Prosperous New Year! Coming in the next few days will be project updates for all of our active projects and news about new potential projects. Again, thanking most sincerely all those that continue to support our projects making them possible.